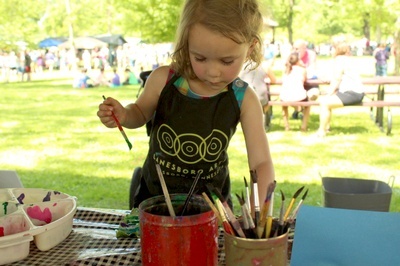 Lanesboro Arts is proud to present an Art Making Crawl as a part of the Spring into Art Festival in Lanesboro on Saturday, March 23, 2019 from 11:00 a.m. to 3:00 p.m. The Art Making Crawl is a free opportunity for participants to create with a variety of different art mediums, as well as learn techniques from artists. The Art Making Crawl was created to make art more accessible and relevant to area residents. 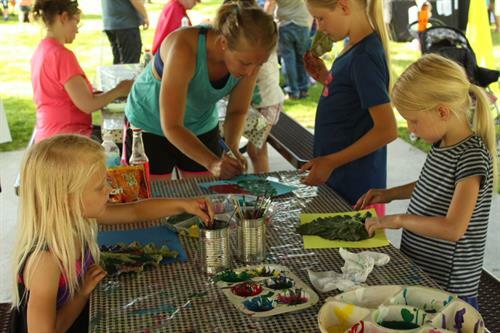 Lanesboro Arts will host art activities in eight different downtown businesses. These businesses will each have a different medium for participants to experience and experiment with. This fun filled Art Making Crawl is meant to bring more awareness to our local businesses, along with supporting artists and connecting members of our community together. Visitors are encouraged to explore the businesses they are in as well as engage in the art activities. Confirmed participating businesses are Pedal Pushers Cafe, Commonweal Theatre, Lanesboro Arts Gallery, St. Mane Theatre, the Cottage House Inn, Cheryl's Fabric Garden, and the Black Crow Gallery. 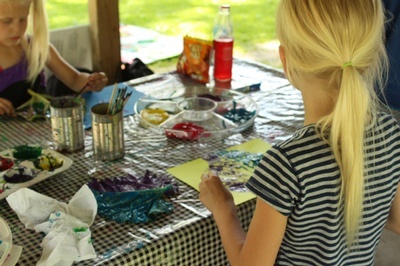 Art Making Crawl Stations will include mediums and experience with watercolor, collage, charcoal, pastels, tempera on canvases, wire sculpture, fabric looms, book & stamp making, and more! If participants choose to do so, artwork created during the Art Making Crawl will be installed and put on display in the Commonweal Theatre's events hall for free and public viewing Saturday, March 29 from 11:00 a.m. - 3:00 p.m. (participants can pick up their pieces from the Lanesboro Arts Gallery after Monday, April 1). 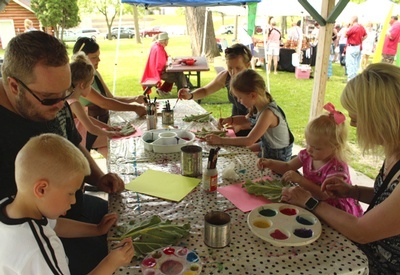 Spring into Art is an interactive, two-weekend celebration of creativity and community co-presented by Commonweal Theatre and Lanesboro Arts. Featuring an art crawl, a canvas clash, an original art exhibition, film screenings, live music, panel discussions, a production of “Bakersfield Mist” by Stephen Sachs, and more, the Spring into Art Festival is your cure for cabin fever. Some of the confirmed businesses participating will be the Commonweal Theatre, Lanesboro Arts' St. Mane Theatre, the Cottage House Inn, Cheryl's Fabric Garden, and the Black Crow Gallery. Additional business will be added as they are confirmed. Saturday, March 23 from 11 a.m. to 3 p.m.